August 11, 2017 -- There is considerable debate in the U.S. about dental therapists but often a lack of outcomes data behind both sides of the argument. In the first study to look at the long-term outcomes of communities served by dental therapists, researchers from the University of Washington have found that children in Alaska Native communities had lower rates of tooth extractions and more preventive care than those in communities not receiving services from these practitioners. "There appear to be clinically meaningful differences between communities with no dental therapists and communities with the highest number of dental therapist treatment days, with the latter communities exhibiting utilization patterns consistent with improved outcomes," the authors wrote in their report, published on August 11 by the University of Washington in Seattle. The study was led by Donald Chi, DDS, PhD, an associate professor in the university's School of Dentistry, and funded by the Pew Charitable Trusts, Rasmuson Foundation, and W.K. Kellogg Foundation. Across the U.S., the topic of dental therapists remains controversial. However, certain Native American and Native Alaskan tribes employ these practitioners, and long-term data are needed to evaluate the impact of these practitioners. There is a lack of studies on outcomes involved with dental therapist treatment, according to Dr. Chi. "Only a handful of published studies have assessed outcomes, which is surprising," he told DrBicuspid.com. "The opportunity to be part of designing and carrying out the first long-term assessment of dental therapists in the U.S. was what drew our team to this study." In Alaska, the Yukon-Kuskokwim Health Corporation (YKHC) serves 25,000 Alaska Natives representing 58 tribes recognized by the U.S. government. Researchers from the University of Washington conducted a 10-year retrospective program evaluation using data from the YKHC's dental clinic and Medicaid claims data. The researchers used data from 2006 to 2015 from the YKHC and Medicaid claims, counting the total number of dental therapist treatment days provided in each community. They then compared communities with no dental therapist treatment days to those with the highest number of treatment days. Was the total number of dental therapist treatment days associated with dental utilization? What are the differences in dental use between communities with no dental therapist treatment days and communities with the highest number of dental therapist treatment days? Child preventive care utilization rates were 9.3% to 16.4% higher in communities with dental therapists. For adults, utilization rates were 2.4% to 11.8% higher in communities with dental therapists. For extraction rates, children in dental therapist communities had rates 5.4% to 15.2% lower. Adult extraction rates were 2.5% to 13.5% lower in communities with the highest number of dental therapist treatment days, the authors reported. Likewise, general anesthesia rates in children were 2.4% to 3.1% lower in communities with a dental therapist. Increased dental therapists treatment days at the community level was positively associated with preventive care use and negatively associated with extractions, the authors concluded. The use of therapists was also associated with lower use of general anesthesia in children. "Communities with the highest number of dental therapist treatment days exhibited higher rates of preventive care and lower rates of invasive dental treatment for children and adults," they wrote. The researchers were surprised to see such widespread clinical improvements in this relatively short amount of time. "Ten years is a relatively short time period to see the types of improvements in dental utilization we saw in our study," Dr. Chi stated. The authors were careful to list four main limitations of their study. As it was an observational study, they were unable to draw causal conclusions, and all findings are associations. They suggested that a randomized clinical trial would be one way to examine causal outcomes, but they rejected this approach because of cost and ethical implications. The second limitation was the potential for selection bias, which the researchers attempted to address by adjusting for confounders identified through their conceptual model. They noted that future work should continue to identify additional ways to measure community-level resources that could serve as model confounders. The focus on utilization, as compared with unmet dental care needs, disease prevention, and quality of life, was the third limitation. And last, the authors acknowledged that the use of dental care is not a panacea and other behaviors also are relevant in oral healthcare, including limiting sugar intake, optimizing fluoride exposure, and not using or stopping tobacco use. In the next phase of their study, the researchers will include direct interviews with patients, according to Dr. Chi. "We will conduct interviews with community members and individuals who have received care from dental therapists," he stated. "Our goal is to find ways to make the dental therapist program in Alaska even more effective, based on the idea that it is always possible to make great programs even better." The authors concluded that the long-term aim of all involved was to improve oral healthcare delivery and patient behaviors. 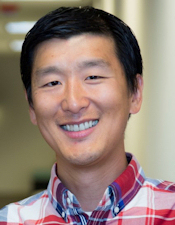 "Our study shows that children and adults living in communities with dental therapists have experienced improvements in dental utilization, which is a step in the right direction toward health equity," Dr. Chi noted.